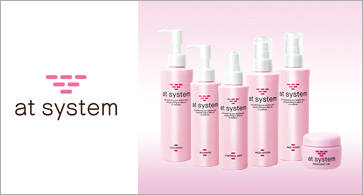 Our product line with the highest water retention, for skincare that delivers fresh collagen with 600 times the moisturizing power (*2) to the stratum corneum. A series of skincare products that replenish the skin with natural phospholipids, a type of substance that is necessary in order to implement Lamellar Beauty Method, which maintains the stratum corneum. Skincare products that deliver what the skin needs, where it needs it, by adding nano and ion technology to nano capsules. 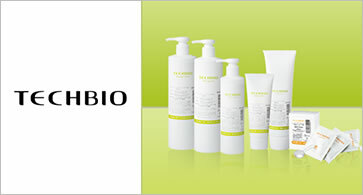 Skincare products with a carefully formulated hypoallergenic design that is even gentler on finicky skin. 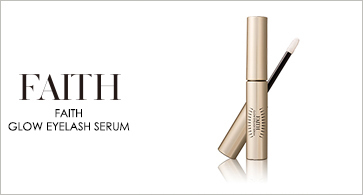 Featuring a proprietary blend to support your eyelashes, this product leaves your eyelashes looking shiny and upright. More beautiful eyelashes for a lasting impression. 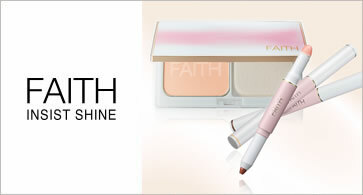 Makeup products that bring out your skin’s innate beauty through the Faith Group’s lamellar concept. 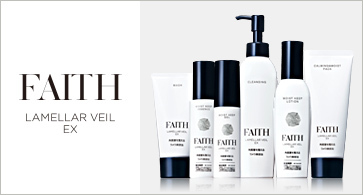 See how Faith Insist Lamellar can make your own wish to become beautiful come true. 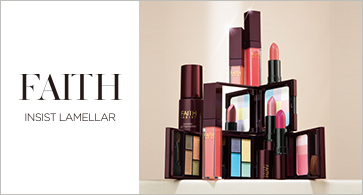 A series of makeup products designed to add brilliance to women who choose to embrace life on their terms. 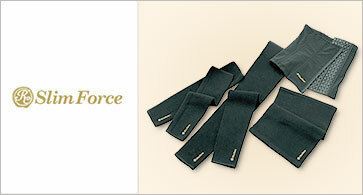 Enhance your own style as an active woman by combining advanced function with refined design. 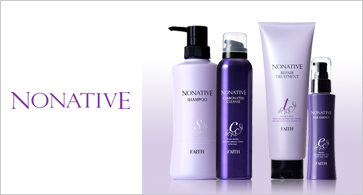 Beautiful, healthy hair starts at the scalp. 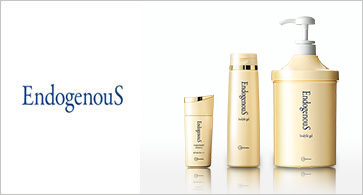 This comprehensive series of hair care products maintains beauty while protecting your delicate hair and skin. 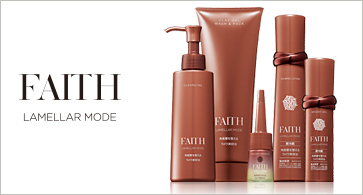 A line of body cosmetics of skincare quality designed to create a beautiful, moisturized body by offering total care, from head to toe. Attractive slimming lingerie featuring Shinick  infrared-radiating fibers. Enjoy an esthetic treatment for your body and create an attractive shape just by wearing them every day. Featuring Shinick β infrared-radiating fibers. 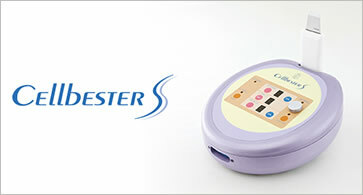 A series of products for women who are serious about slimming down. 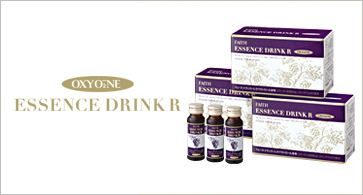 This aging care drink contains Faith trans-resveratrol, which acts on the sirtuin gene that holds the keys to youth. 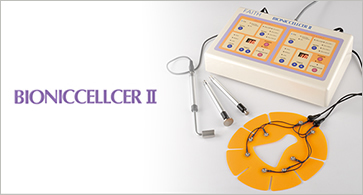 This multifunctional esthetic appliance for salons provides three essential capabilities despite its compact size (Cellcer, electro-cleansing, and iontophoresis). This standalone salon care appliance provides three functions in a single unit (ultrasonic pore mist cleansing, sonophoresis, and lifting). 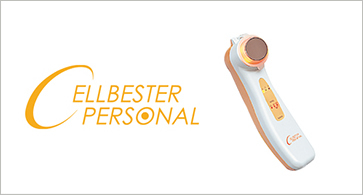 This home-care esthetic appliance lets you continue to enjoy the satisfaction of salon care at home by providing four functions in a single unit (electro-cleansing, iontophoresis, sonophoresis, and photo-shower). 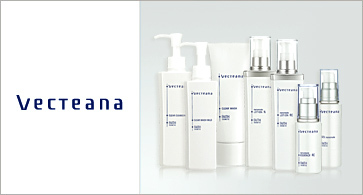 A line of cosmetics for salon care, including cosmetics designed for use with esthetic appliances. Copyright © FAITH GROUP All Rights Reserved.